A mere provincial town in the desert of Southern Peru, Nazca has become famous for its mysterious Nazca lines, mysterious geoglyphs carved out in the desert surrounding the city. 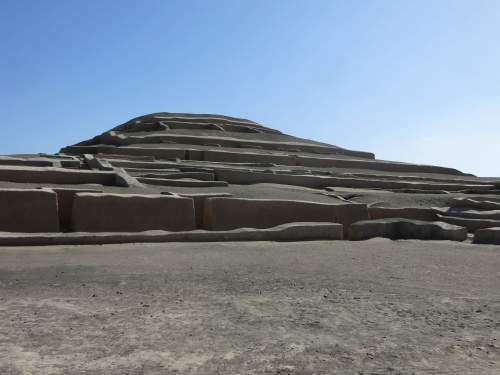 From the ground, the designs of the lines can hardly be seen, but from a small airplane one gets a fantastic view of these figures, some of the largest being several hundred meters long. 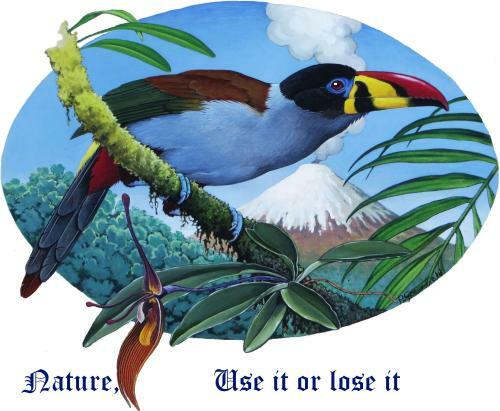 Many figures are mere lines or have geometric shapes, but others represent animals, people and plants, some of which have been given names like "monkey, parrot, hummingbird, whale", etc. 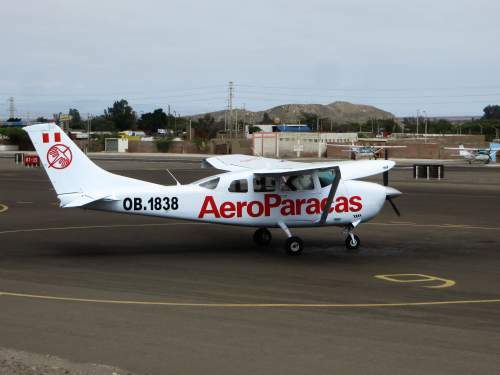 So it is not surprising that Nazca has become one of the prime destinations in Peru. 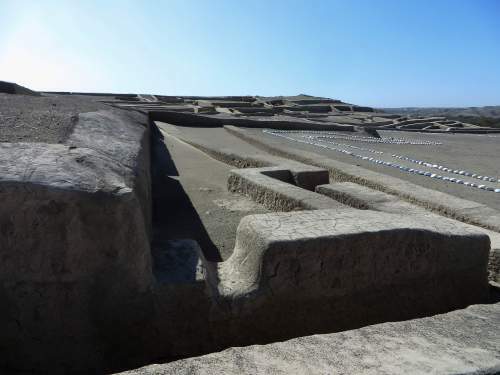 In fact, Nazca, Peru was known for its viticulture, producing wine and grape brandy known as Pisco, and quite famous in Peru as Pisco Sour, a cocktail of pisco brandy, eggs, lemon and sugar. 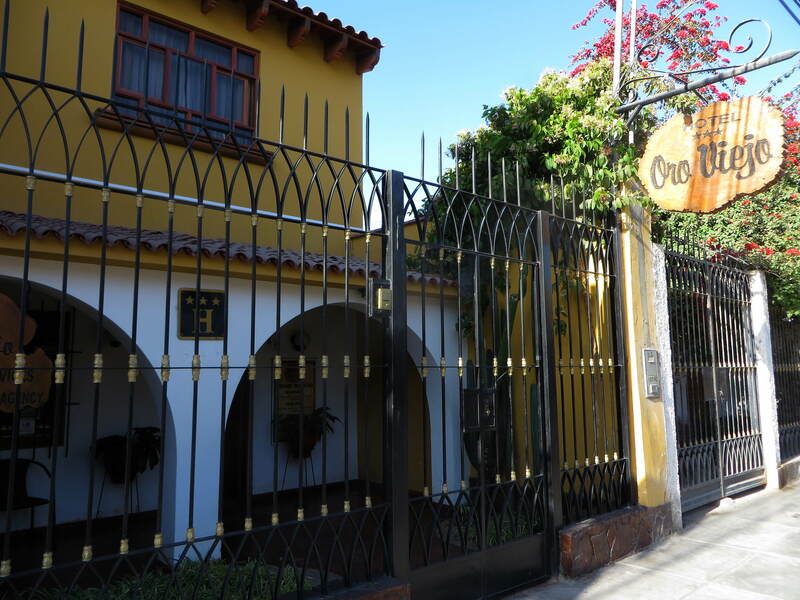 Both the wines and the brandy were sold throughout the viceroyalty of Peru. Nowadays, Peru and Chile each have their own pisco, with annual production in Peru being 7 thousand tons and in Chili 100 thousand tons. 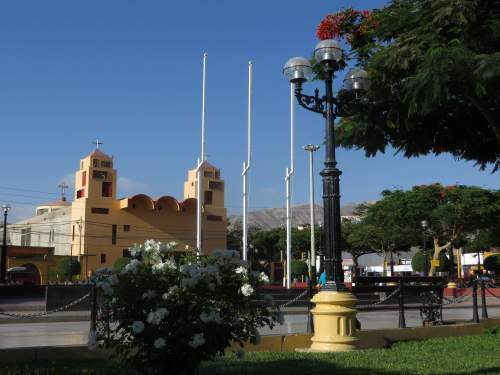 Modern Nazca is not a picturesque place, although it has a lively tourist street with lots of restaurants worth a visit at night. 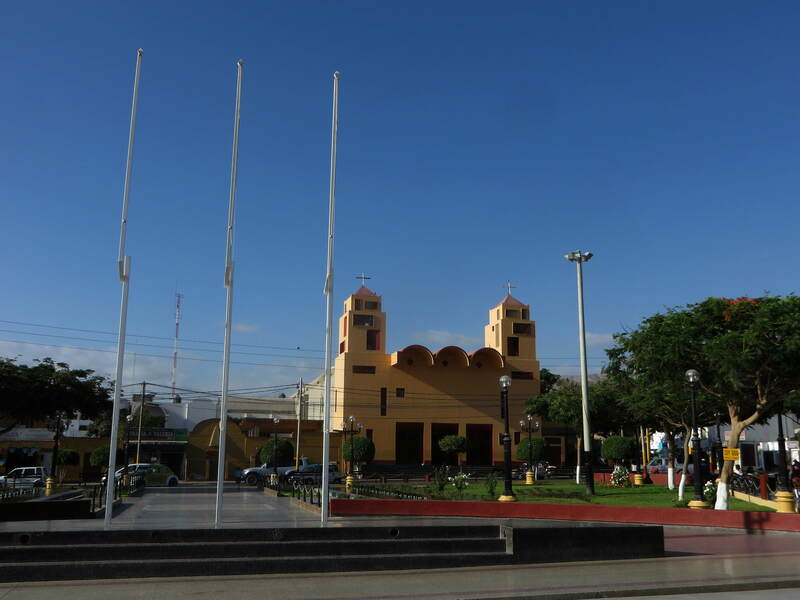 In part, this is due to a major - scale 7.5 - earthquake in 1996 that destroyed much of the city, but even before that there was not much to see for tourists. Having said that, the surroundings of Nazca are far more interesting than tour operators are aware off. Only recently are the Cahuachi - aka Paredones- ruins becoming visited, while they are only 15 minutes away from the outskirts of town. 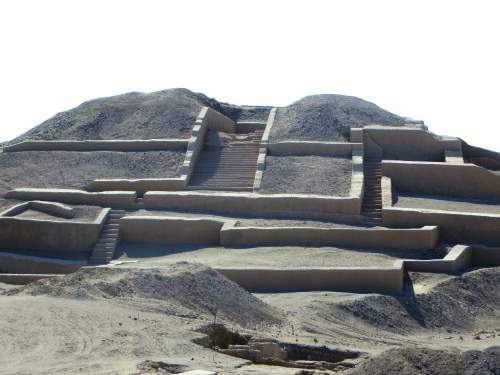 In fact, the Cahuachi archaeological site, already existed during the heydays of the Nazca lines, but an Inca-wall also indicates that it was used by the Incas. 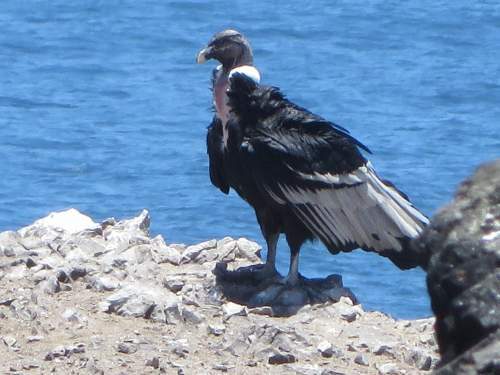 Half an hour's ride towards the South, is San Fernando National Reservation, a fabulous 154,716-hectares reserve where one gets to see Condors feeding on dead Sea Lions washed ashore, an enormous Sea Lion colony, a Humboldt Penguin colony, Blue-footed and Nazca Boobies, Neotropic cormorants, Andean Foxes and Guanacos. This incredibly interesting reserve gets less than 350 per year! All in all, Nazca is an extremely interesting destination, well worth spending a night or two. How old are the Nazca Lines? Most of the Nazca lines date back to 200 to 700 AD, when the Nazca people lived. But recent research suggests that some newly discoverd lines may have been created by the Paracas and Topará people, who lived in the area between 500 BC - 20 AC. 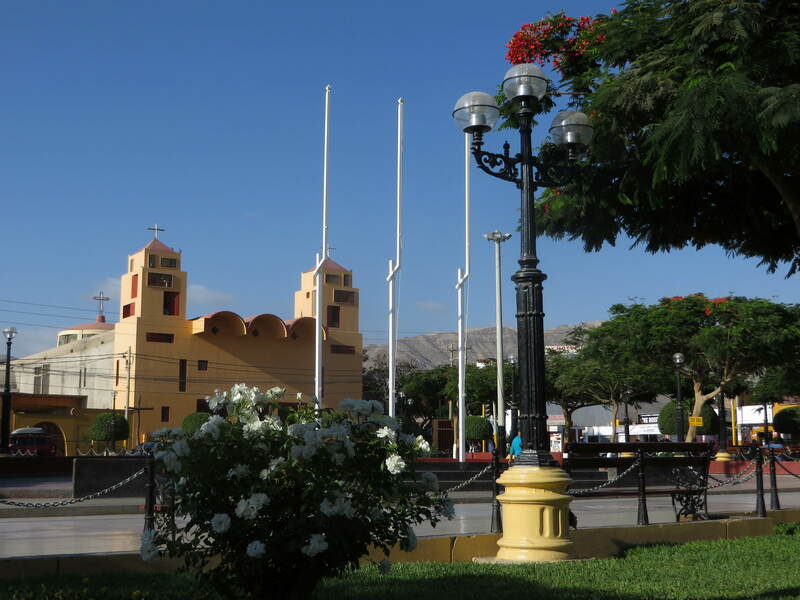 Above: The Plaza de las Armas is a friendly but unpretentious little park in the center of town. Left: Little 2 - 3 star hotels abound. 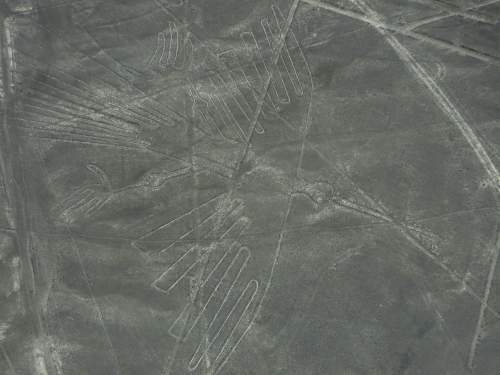 Nazca Lines Flight services. The Hummingbird Nazca line. Nazca Lines Flight services from Maria Reiche Neuman Airport in Nazca take you over the different figures left behind in the desert by the Nazca people. The Cahuachior Paredones archaeological site is located at a distance of 15 minutes from Nazca. 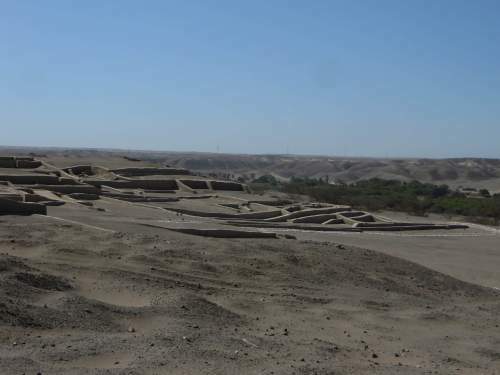 There are about 40 hill low hills with adobe structures on top in an area of about 1,500 hectares, most of which have not yet been excavated nor studied. 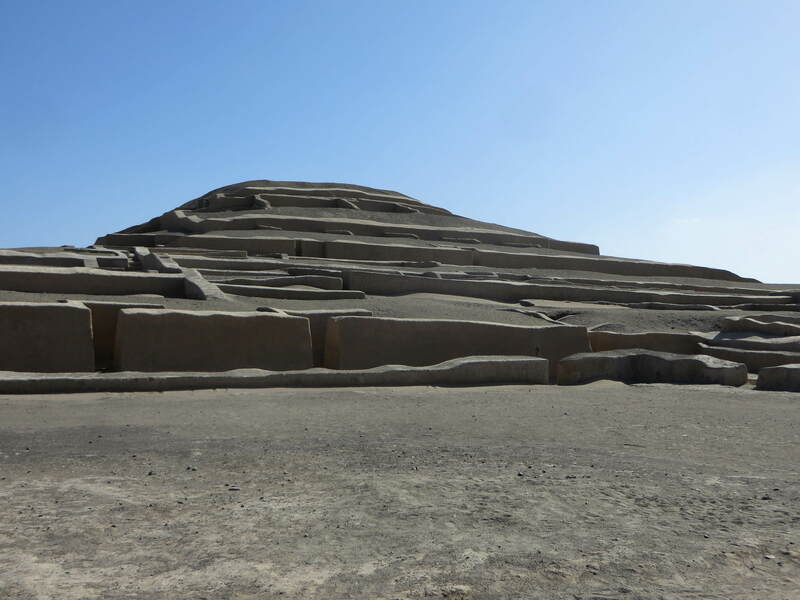 According to archaeologists Giuseppe Orefici and Helaine Silverman, the site appears to be a ceremonial pilgrimage center of the Nazca culture. The huge architectural complex covers 0.6 sq. miles (1.5 km2). 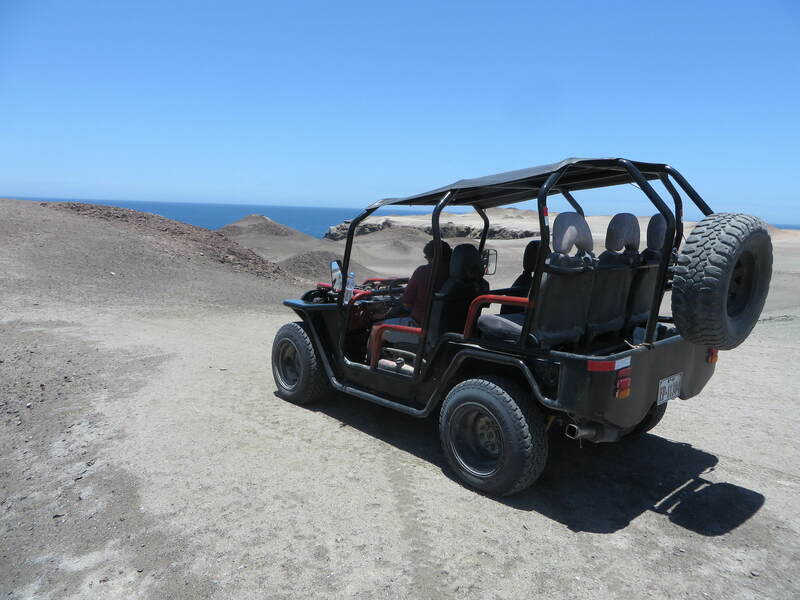 Reaching the San Fernando Reserve by dune buggy to cross the dunes. San Fernando National Reserve is a fantastic desert and coastal national park, that gets very few visitors, among other things, due to the absence of passable roads. As one needs to traverse some very steep dunes, the most secure way to enter the national park with specially built dune-buggies for tourists. 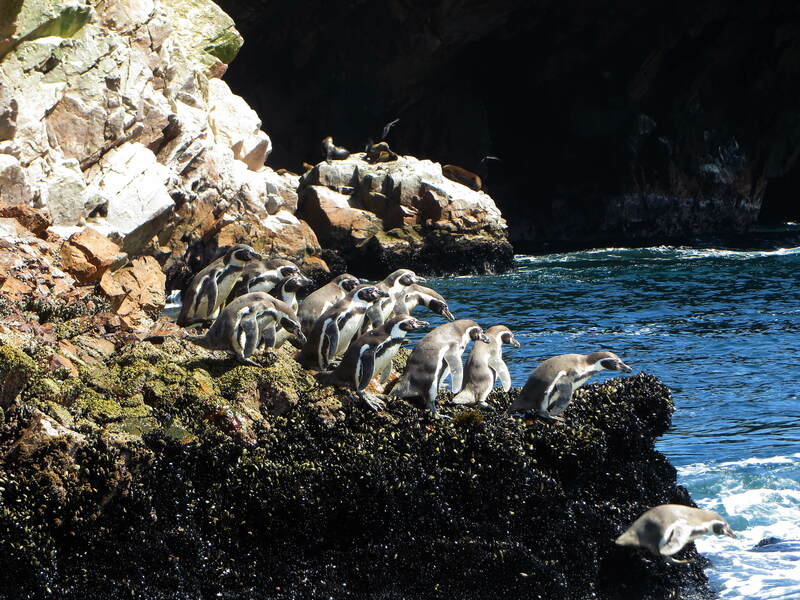 San Fernando National Reservation, at merely half an hour away from Nazca, has some incredible species like the Humboldt Penguin and the almost always present Andes Condor feeding on dead Sea Lions. 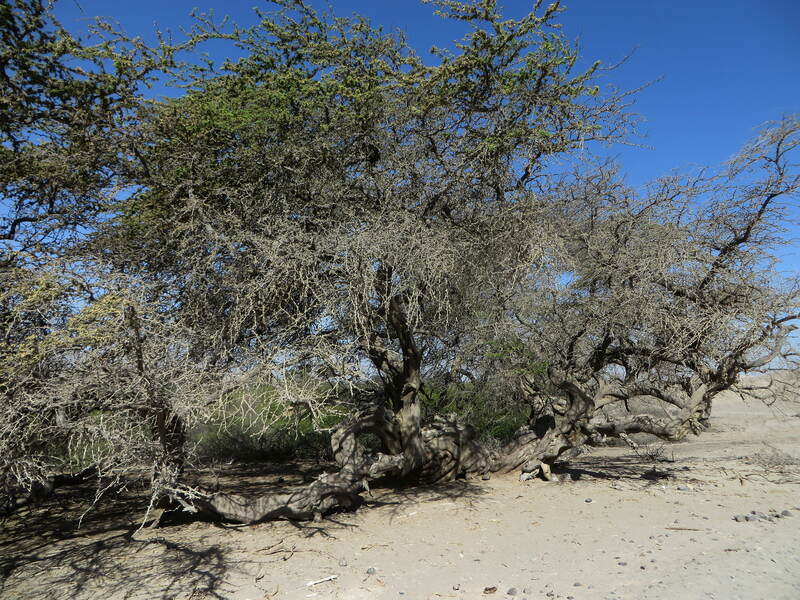 Kiawa or Huarango Millennium tree, Prosopis pallida. The Kiawa or Huarango Millennium tree, Prosopis pallida, is a species of mesquite tree from Colombia to Peru, in English known as American carob, as well as "bayahonda" is a very draught resistant tree, used by the Nazca people and later the Incas for construction purposes and for making roofs over irrigation canals, as well as for firewood. 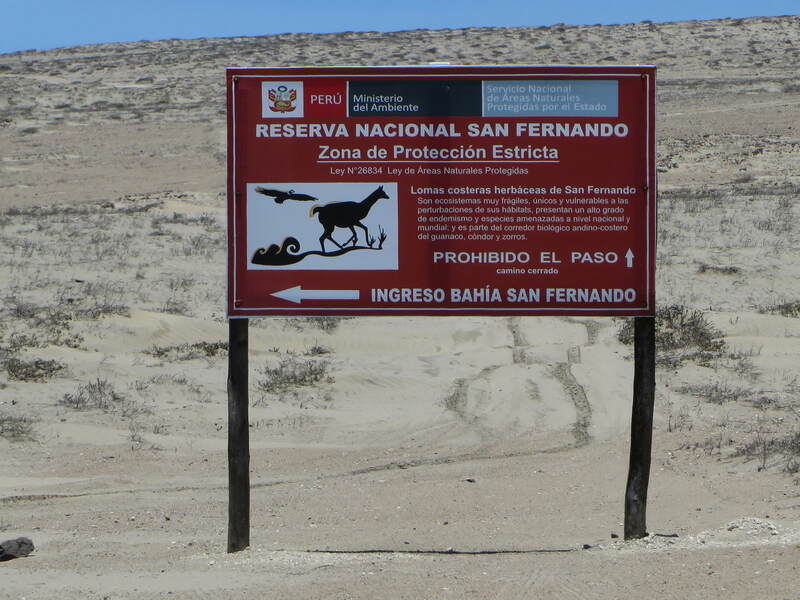 Major forests have all disappeared, but small remnant groves still survive, one on the way towards Cahuachi. 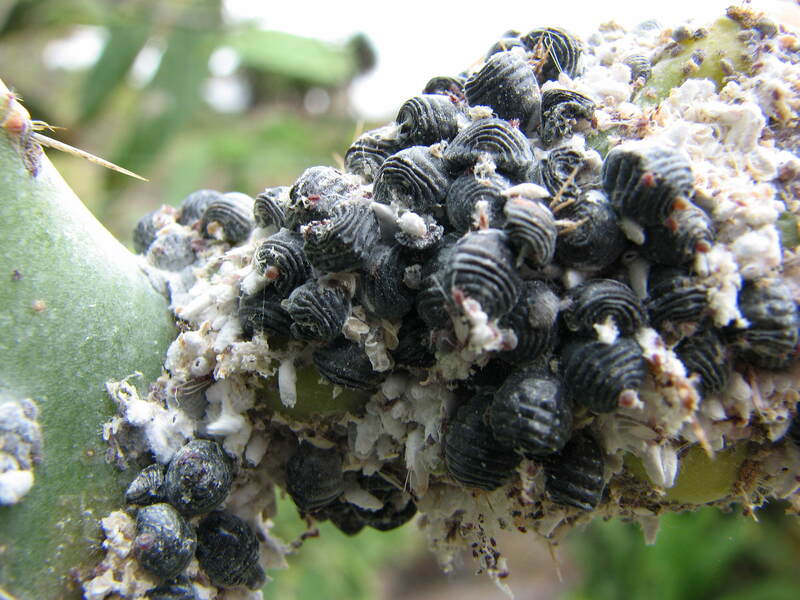 Scarlet dye farm derived from Dactylopius coccus larvae from the Cochineal bugs raised on cactuses. 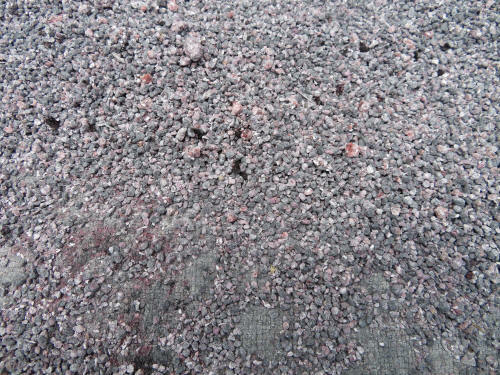 An interesting product is the scarlet dye derived from Dactylopius coccus larvae of the Cochineal bugs that feed on cactuses. 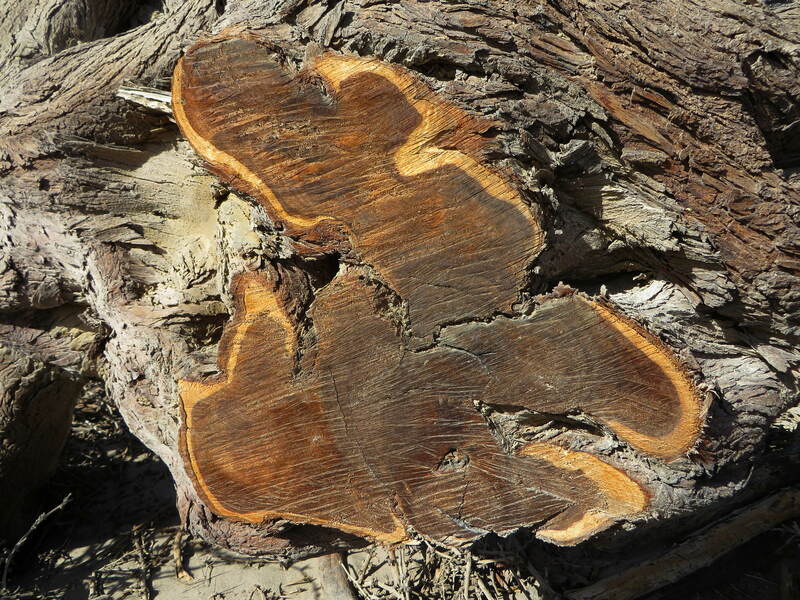 Once full-grown, the larvae are harvested to produce a natural dye that is in very high demand. 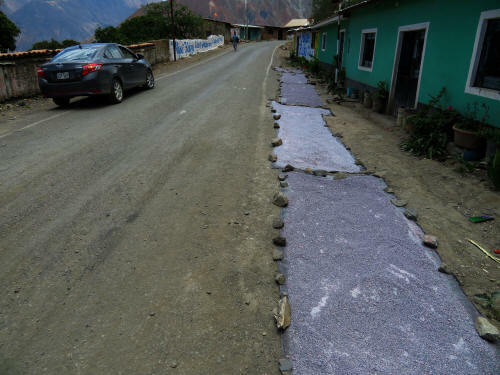 After harvesting the larvae are dried in the sun, often on the road side. 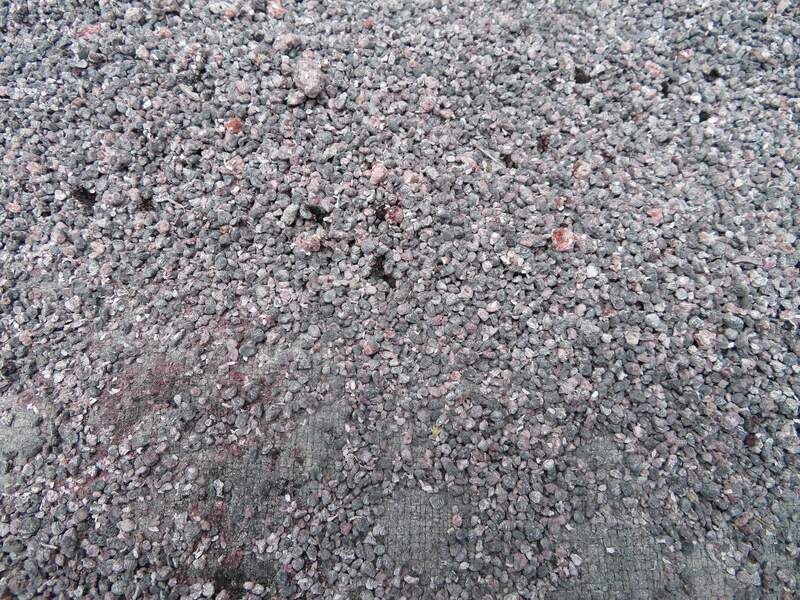 Cochineal bugs are often exposed to the sun along the road. 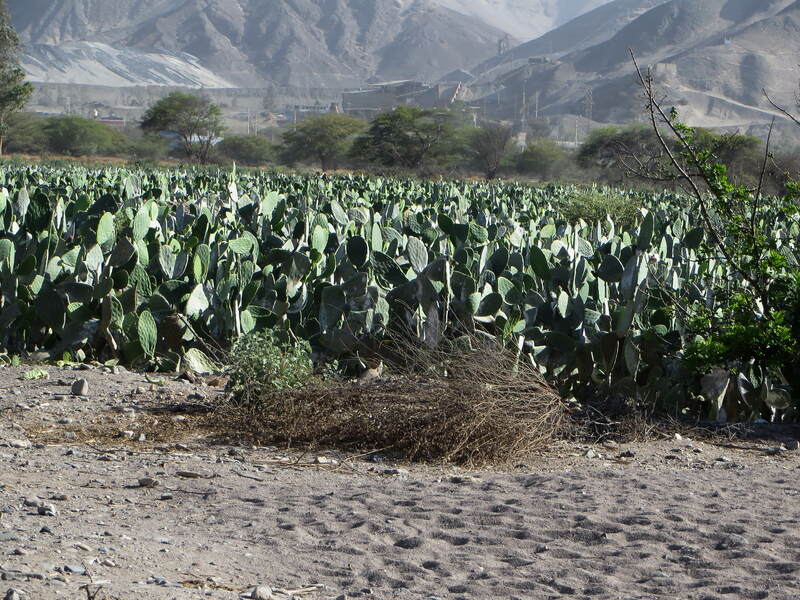 As cactuses have rather low demands on water, their cultivation is very suitable for the Peruvian desert lowlands.